Perhaps the most unlikely win at the 2014 GRAMMY® Awards went to the Pacific Mambo Orchestra for their self-titled, independently produced, Kickstarter-funded debut recording. They beat out superstars Marc Anthony,Carlos Vives and legendary producer Sergio George (Prince Royce, Tito Nieves, Luis Enrique) in the highly competitive category of Best Tropical Latin Album, rocketing the group to international attention. PMO’s sizzling, self-titled, 2014 Best Tropical Latin Album GRAMMY® award winning debut record honors the sounds of the great Latin Big Bands of the 1940s through 1960s, including Machito, Tito Puente and Tito Rodriguez, while infusing them with an intoxicating new energy. Richly textured arrangements flow through the entire production, with exquisite playing by ace musicians. With a repertoire of mostly original scores, the selections move in a frenetic pace, pulsing with the sounds, rhythms and beats that only a true Big Band is capable of producing. 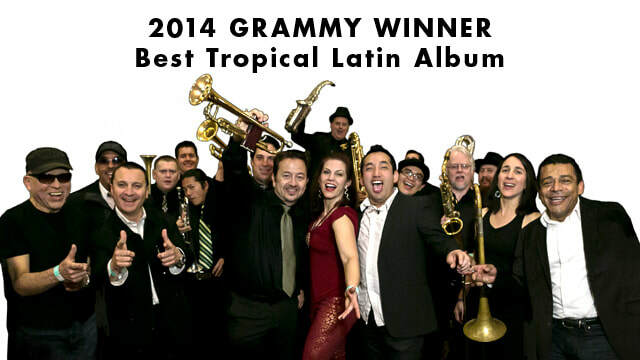 2014 GRAMMY® Winner the Pacific Mambo Orchestra (a.k.a. 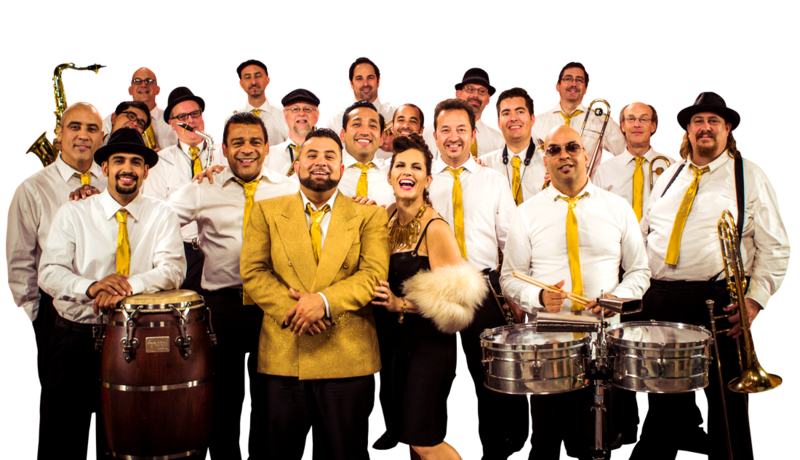 the PMO) is a 13 piece, San Francisco based musical group leading the rebirth of the Latin Big band Sound. The PMO uses the traditions of the classic mambo-craze orchestras of the 1950s to deliver their original music and clever, modern arrangements of hit songs. Currently the only fully active Latin Big Band on the West Coast of the United States, this elite group of the Bay Area's finest musicians performs in both English and Spanish (French and Portuguese selections are also available). We're very excited to present Pacific Mambo Orchestra for our first ever OPENING NIGHT at 2018 SLO Jazz Festival. ​Get there early, this is going to go off!